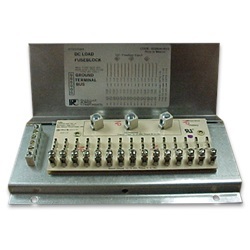 The FB15 is a fuse panel with 15 DC load circuits. This model has 3 large non-fused terminals rated for 2-14AWG wires. These terminals are common to one another and are the supply side for the branch circuits. Branch circuits rated for 20ADC maximum and branch circuit terminals are rated for 12-16AWG. 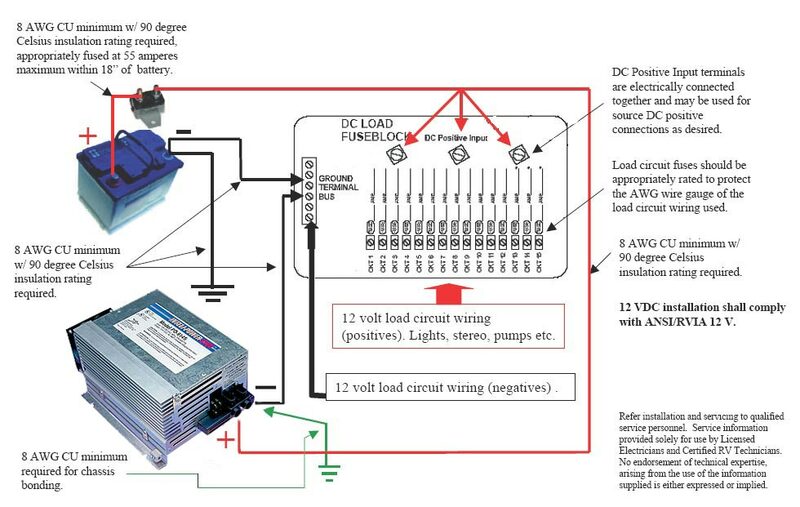 A feature of the F15 are the three DC positive inputs for converter and batteries. It is built with a galvanized metal chassis and hinged cover. Included is a terminal bar for 12 volt negative connections and standard automotive blade type fuses. The FB15 can be used with any "Deckmount" style converter or system without a built-in DC load distribution panel.